Bolivia Hop is all about discovering the REAL Bolivia through the eyes of a Bolivian. Imagine a tourist came to your city with a Lonely Planet Book. Who can show them your city better… you, the local expert, or a guide book probably written by a foreign tourist?? That is exactly what Bolivia Hop does! We, the Irish founders, “visited” Bolivia, but it was only travelling and going around like a local that we discovered what Bolivia really has to offer! The usual route is Cusco (Peru) to La Paz and vice versa. In this route, the main things to do are go to Uyuni, bike the Death Road and visit the mystical Isla del Sol, cross into Bolivia or Peru (praying to not have any border-crossing problems) and reach the magical Machu Picchu. 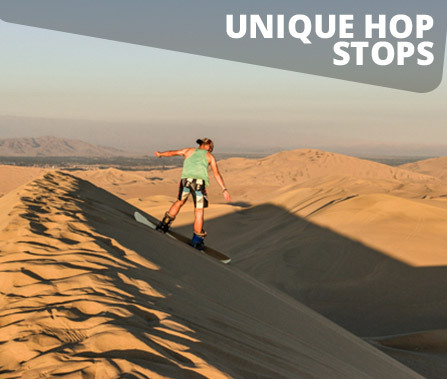 Luckily, Bolivia Hop takes you to those places (except Uyuni… for now!) allowing you to stay however long you want, and makes sure that you have a hassle and stress-free border crossing into Bolivia or Peru. We have created a hop-on, hop-off private bus system that not only gets you from A to B, but goes off the beaten track to hidden gems that would be impossible to get to, or know about, without some local insider knowledge. 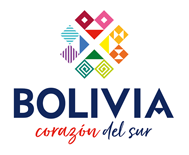 Our team of local Bolivian/Peruvian experts LOVE their country and they love Bolivia Hop, because they know that we are trying to help local communities grow as well as ensuring tourists stay safe and don’t get ripped off along the way! So how does our unique hop-on, hop-off system work? Check the How It Works section below, on this page, to view the 5 simple steps to perfectly understand how our service works. READY TO START YOUR DREAM TRIP? 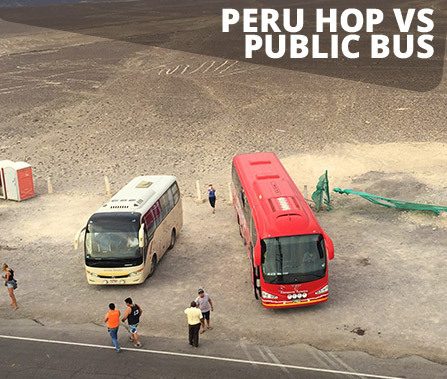 Firstly, let us explain how public buses in Bolivia work and then explain how Bolivia Hop works so you can understand a little about the difference. It’s best to always compare your different options to find the best one! Spend your travel time searching for and booking your ticket for the journey from Destination A to Destination B. Be careful with the public bus company you choose! Take a taxi from your hotel/hostel to bus terminal A – note that taxis in Bolivia do not have metres…you need to negotiate the price with the driver! When finished at destination B, spend more of your travel time searching for and booking a new ticket to Destination C and follow above process again and again until you are tired and worn out! Book 1 single bus pass that covers ALL bus journeys – no need to research bus tickets and routes! Get picked up at your hotel/hostel in Destination A – no taxi needed! Go from Destination A to B with lots of unique quick stops along the way to see the Real Bolivia. Be dropped at your hotel/hostel in Destination B – easy and safe! Have an onboard Bolivian assistant fluent in English to give you expert tips and advice on where to stay and what to do at each destination. Your ticket is valid for 1 year…so take as long as you like traveling with us! A hop-on hop-off system can seem new, but it’s easy to understand. 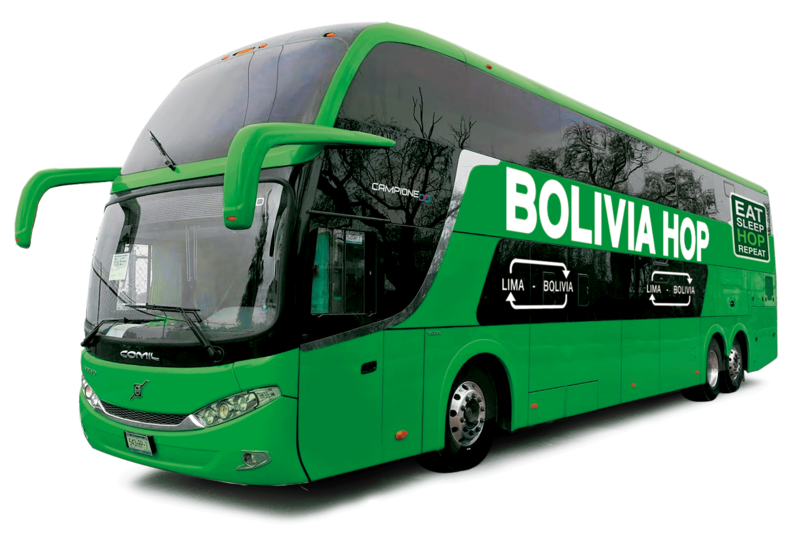 We’re going to explain how Bolivia Hop works in 5 simple steps so that you, the passenger, can perfectly understand everything! Choose from our variety of passes, depending on where you want to start, where do you want to go and how much time you have. Check our passes section for more information. View our recommended plan for the whole trip using our “Plan your itinerary” tool within each pass or simply make your own plan. Or, for the spontaneous, make no plans and just hop on and go with the flow. Our passes are perfect for everyone, whether you want to squeeze it all into a few days or stay anywhere for a longer period of time. Note: Our passes are incredibly flexible, but if you want a fixed tour with everything organised and booked in advance for your whole trip (e.g. all accommodation and extra activities) then that is no problem at all. You can use our itinerary planner within each pass, and then book your own accommodation and tours to match this itinerary. OR, if you prefer, email our local experts who will assist you with everything you need. Get picked up from your hotel or hostel and start your trip, or if staying in an Airbnb simply email us and we will make a plan! At every destination we will pick you up and drop you off wherever you are staying. Note: We cannot offer our pickup service in Cusco. This is due to strict legal restrictions regarding large buses entering the historical centre. You decide how long to stay at each stop. Maybe stay one night or one month, it’s up to you! Your pass will be valid for one whole year, so you don’t have to worry about those dreaded fixed schedules other companies offer. Simply log into your HOP LOGIN account and change your itinerary on-the-go. 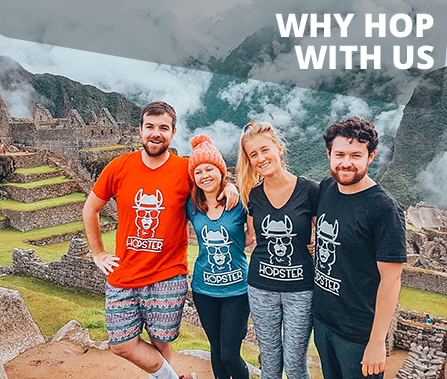 Finish your trip and pick up a free t-shirt in our offices in either Lima or Cusco (Subject to availability). Crossing the Peru/Bolivia border can be a hellish ordeal even for seasoned travellers. There are plenty of horror stories on the notorious police scams, stolen bags, made-up fines and refused entries. The language barrier for many non-Spanish speakers doesn´t help. Most public buses won’t give you advice regarding which are the necessary forms to fill out, nor which offices you need to enter to get your passport stamped leaving you all on your own in dangerous territory. 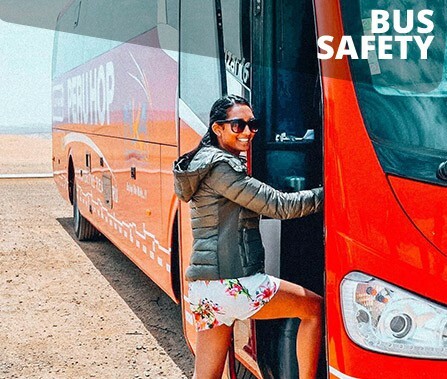 This is a review you can find on TripAdvisor on one the public buses page: “They told us to get off at the Bolivian border with no direction on where to go or what to do. Ended up wandering the streets for an hour trying to figure out how to get through immigration”. A simple Google search will show you all the truly unbelievable things that have and keep on happening at the border. 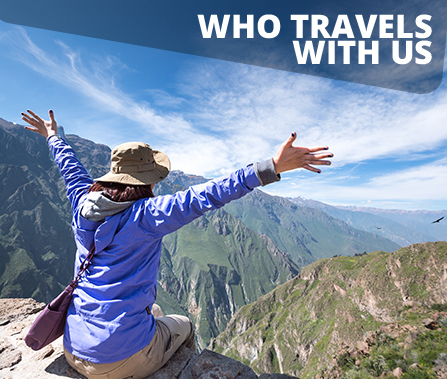 Luckily, you won’t have to worry about any of that while travelling with Bolivia Hop! Our highly professional, bilingual guides take all the stress out of the dreaded border crossing. They will have the necessary paperwork on the bus, helping you fill out the sheets while answering any doubts or questions you have at the moment. What do you do in an emergency? What if your taxi takes you to the wrong place? What if you book a fixed itinerary but then want to stay somewhere longer? That’s why we created Bolivia Hop! We offer a safe, comfortable and stress free trip! Meet our local Bolivian guides (now famous on tripadvisor haha!) as well as fellow passengers from across the world. Pay local prices with local Bolivian companies paying Bolivian taxes. Lose an ATM card or your passport? Need to call home for an emergency? 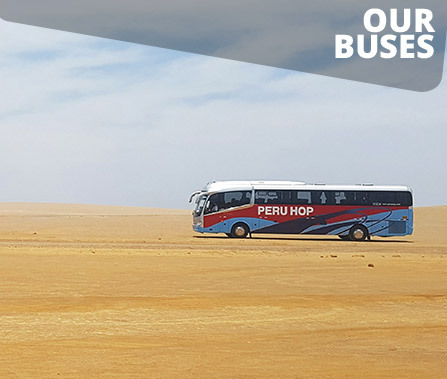 Bolivia Hop is always there to help, and our on-board assistants are famous for their care and attention, whilst also leaving travellers enough space and freedom to explore at their own pace.